October, 2. Squire Patton Boggs. October, 2-6. Paris Convention Centre. "New Festival 2018. Intelligence X.0 – AI 4 industry and humans"
October, 9. Grand Hotel Kempiski. Geneva, Switzerland. October, 10-11. Hilton Union Square. San Francisco. October, 12-14. Fiera di Roma. Saastock. 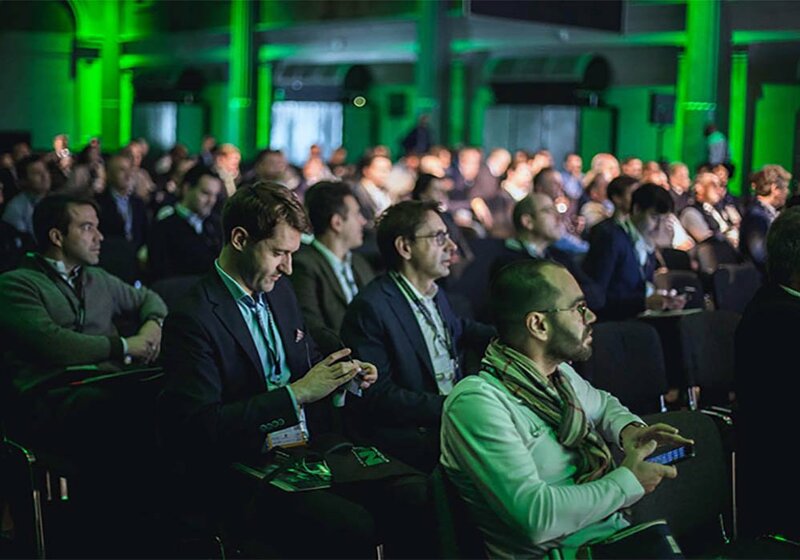 "The best conference for SaaS founders, VCs and Execs in Europe, period"
October, 16-18. Hyatt Regency Cambridge. October, 17-18. Die Gläserne Manufaktur. Dresden. October, 18-19. Mandalay Bay Las Vegas. October, 21-24. Las Vegas Blvd. October, 22. BOZAR. Rue Ravenstein, 23. Bruselas. October, 22-24. Los Angeles Convention Center. October, 29 - Novembre, 2. Hong Kong Convention Centre.